Written by CEMB on October 20, 2016 . Posted in Press Releases, Resources. For the past three decades, we have been witnessing the implementation in politics of the concept of perversity in psychology. Case study, truly. I first realized that during the ‘dark decade’ in Algeria, which made about 200,000 victims, most of them at the hands of armed fundamentalist groups – with women constituting a large proportion of the victims. targeted assassinations at the beginning of the 9Os of individuals branded miscreants ( kofr), who were just democrats like you and me, i.e. those standing for a democratic system as opposed to a theocratic one. May I remind us all that in 1991, i.e. before the electoral process was even started and therefore before elections were cancelled by the government, Ali Belhadj, the then vice-president of FIS (Islamic Salvation Front) stated in front of the international press that: ‘ If we have the law of God, why should we need the law of the people: one should kill all these unbelievers’. assassinations of broad categories of people in the mid 90s: journalists, intellectuals, artists, foreigners, women, etc.. ; the targeting of each category of people was announced in advance in the fundamentalists’ printed media in the UK and crimes were later claimed in the same media through ‘communiqués’ signed by GIA ( Islamic Armed Group). extermination of entire villages branded miscreant, towards the end of the decade: that meant the simultaneous eradication of up to twenty members of the same family in one go. Now guess what happened? It was their victims, i.e. the Algerian democrats, the antifascist, antifundamentalist Algerians, who never took arms against their executioners but only their pen, that the Left and human rights organisations vilified and branded ‘eradicators’! I cannot even start telling you how one experiences a sense of madness when responsibilities are turned upside down in such a way; one feels like the raped girl, the battered woman, the child being caned who have been told by judges, police, families and media alike, over such a long period of time in history, that they were the ones truly responsible for sexual attacks, domestic violence and physical punishment in ‘education’; and that it was their own behaviour (how libertarian indeed ! just being able to exist in the public space, to express an opinion, in short just enjoying one’s fundamental human rights!) which ‘induced’ these ‘responses’ – which were thus seen as legitimate. Some days ago, a film by Deeyah Khan, ‘Islam’s Non-Believers’, which showed the fate of atheists in Muslim-majority countries, pointed at the growing number of young people who, at risk of their lives, declare themselves atheists – one of the most important phenomenon in this decade, although the European media failed to give it the importance it deserves – and the organisations who help them. The film gave the floor to young atheists and underlined the work done by the Council of Ex-Muslims that has popped up in many places in Muslim-majority countries and in the diaspora. 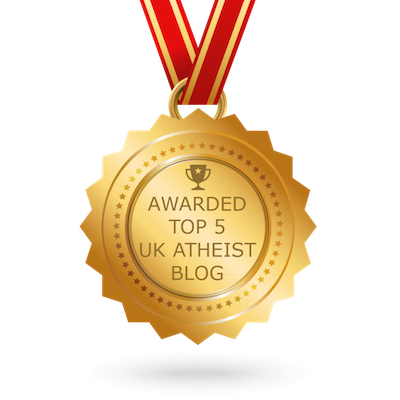 It especially showed the work done by the Council of Ex-Muslims of Britain with its formidable organizer Maryam Namazie. It does not come as a surprise that this film sparked protest from Muslim fundamentalists and that their views were propagated and circulated all around, on the web and in the papers. One could expect such a backlash. They argued as usual that denouncing those who call for the murder of atheists in public statements that are available on the web is an attempt to malign them by ‘mis-interpreting what they say’; it is equated with attacking Islam itself, i.e. being a miscreant, a kofr who therefore deserves death penalty! Quite clear… These are truly threats addressed to anyone involved in the film, from the director to the youth being interviewed in the film and up to their support organisations. What do these young people say, in fact? That when they stopped believing in the faith they were born and raised into, an often long and painful process that generally starts at teenage years, they were drowning into a horrendous moral and emotional solitude; and that long before having to cope with a very grounded fear of being slaughtered for their opinion, they endured years of agony while facing the prospect of family rejection and being ostracised socially. In Algiers where I grew up and where there were after independence (1962) scores of really a-religious youth – if not declared atheists – how many have I seen who were truly terrorized at the idea that their mother could find out that they did not observe the fast during Ramadan! Who, amongst high ranked civil servants, dared open the canteens during the fasting period in state-owned plants? (The response is: only one in the whole of Algeria, in the national steel sector.) How then to be surprised when 50 years later, whilst reaction, the extreme-right and fundamentalism flourish worldwide, bloggers are assassinated in Bangladesh or libertarian writers in Egypt or India or elsewhere? Director Deeyah Khan reviews the recent cases of atheists’ murders in Bangladesh so that one can better understand the fear that is gripping young atheists, even those who took refuge in the UK, as several of them hid their faces while testifying in the film, for fear of reprisal. Just imagine for one second that Christian fundamentalists call for the murder of atheists in Europe on a regular basis, for the reason that Christianity is being insulted by their absence of faith… One would be back to the times of Chevalier de la Barre, who himself was so young a man when he was tortured and executed for exactly the same reasons of ex-Muslims today. Would this be tolerated by the Left and human rights organisations, if it were Christian fundamentalists doing that? I doubt it. Then why this special treatment, this tolerance which only covers up for an unconscious racism, in the wake of such violations of the right to freedom of conscience and freedom of expression, including in the heart of Europe, – when it comes to Islam? We know why and there is no reason to come back to it – but we do not consider these reasons acceptable. No, it is not an insult to Islam, or to Christianity, nor to any other religion, if an individual states in public that s/he does not believe any longer in their god. It is exercising a fundamental right, a right that is upheld under international human rights laws. Those who impede, or forcibly prevent exercising this right, or inflict ‘punishment’ on whoever is exercising it, those are the ones who commit a crime. Not those exercising their right. In this day and age, reaffirming it is not totally useless.